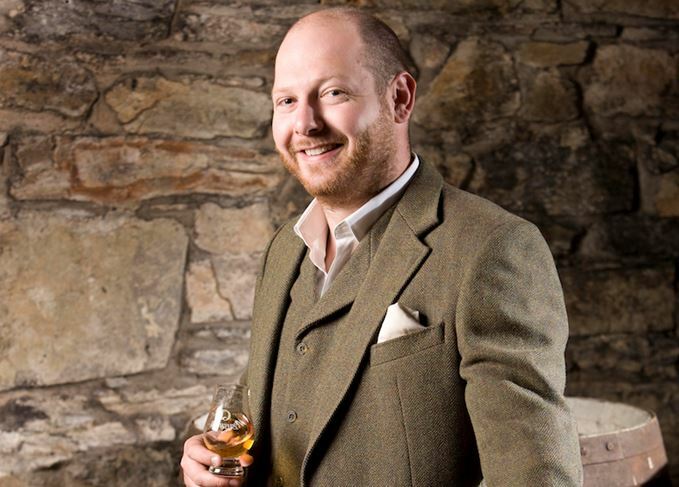 As global marketing manager for Dewar’s, Stephen Marshall is the man behind The Last Great Malts: Aberfeldy, Aultmore, Craigellachie, Royal Brackla and The Deveron (aka Macduff). He’s also an avid record collector and – like half the drinks industry, it seems – began his career at Oddbins. 'The first time I went to a whisky distillery it was 1999 and I won a competition for selling loads of whisky. I went to Islay and it was a life-changing experience. I went to Ardbeg and the guy gave me a soulless presentation on marketing. Then I went to Bowmore and thought this is what I want to do with the rest of my life. 'I collect records – 45s on vinyl. My average outlay is about one a day and they’re very expensive, so it’s getting me into all kinds of trouble. One night there was a guy selling 800 gospel funk 45s. I woke up the next day and I’d won four and thought ooooohhhhh. I wasn’t expecting that. 'An age statement is not a guarantee of being amazing, but it is a certain guarantee. At least there’s an age statement – otherwise all there is, is brand. NAS is not a marketing decision, it’s a production decision. It’s a production decision by people in ops trying to save money. 'Mike Roy, who used to run Macduff, believed in slow distillation, so that the flow from the spirit safe should cross over. If it didn’t, he would give whoever was in charge a skelp on the side of the head. 'Under Mike, everyone had to have a second skill: carpenter, or electrician, or fisherman to bring them food. He didn’t want people who had worked previously in the industry because he thought they’d try to steal spirit. 'My uncle had worked in whisky and I used to have toys that were Teacher’s point-of-sale material, although I didn’t know it at the time. 'We had these stories about Aultmore and the smell of pears floating around the distillery. Well, I get quite vivid dreams and it turned out the pear thing had come in a dream and was totally made up. We had to scrap all the work, so we started again with the Foggie Moss and the mist. It’s called the Foggie Moss because it’s mossy and foggy. 'When I first started at Oddbins, this guy called Stu used to shag his girlfriend downstairs and make me mind the shop. 'There are two things that in my mind changed the character of whisky in the 20th century: American white oak and the loss of worm tubs. There are only about 13 worm tubs left in the industry now. 'I would have done a Craigellachie 8yo because I love whiskies at eight years old, but I got no support for it. The markets said they couldn’t sell it. 'It’s amazing the stories you get when you take distillery people into pubs, sit them down and feed them sandwiches and pints. Like "the distillery cat used to run away when she heard the new shift come on, because of the smell of the sulphur". 'I don’t want these brands to be huge, Macallan, 700,000-case brands. I want them to be nice, 30,000-case brands, so we can still do lots of fun things that we really want to do. 'I always try and make room for a day somewhere to go digging for new records. Me and Dave Broom have been record-collecting in our kilts – in Johannesburg to go to this book depository place that had records in the basement, and big guys with guns outside it. 'Craigellachie’s malt is very sulphury, but not in the Jim Murray, nasty, rubbery way. He gets quite confused about sulphur. It’s sulphur from casks he hates, not sulphur from production. Consumer understanding of NAS single malts in Russia is mixed, our man on the ground discovers. The Aultmore, Craigellachie and Aberfeldy whiskies will be available in travel retail. One of these whiskies is described as ‘truly glorious’, earning our highest score yet. But which? R&B Distillers’ first whiskies and Talisker’s new NAS feature in this week’s tasting notes. A rare Karuizawa and cult whiskies from Laphroaig and Royal Brackla astonish MacRaild.